Minneapolis wants to build 30 new miles of protected bikeways. The idea is that better bike infrastructure is good for equity, local businesses, public health, families, and the environment. But where should the bikeways go? Looking at these five maps is a good place to start. Each of these maps answers a question, and raises more questions. Where does Minneapolis have protected bikeways right now? Why should there be a bikeway on 28th Street? Minneapolis plans to add protected bike lanes to 26th and 28th streets in the Phillips neighborhood. The project could calm dangerous streets and make short trips between Hiawatha Avenue and Portland Avenue much easier for local residents. "Why should we put a protected lane on 28th Street? The Midtown Greenway is just a block away." This question actually has an answer. 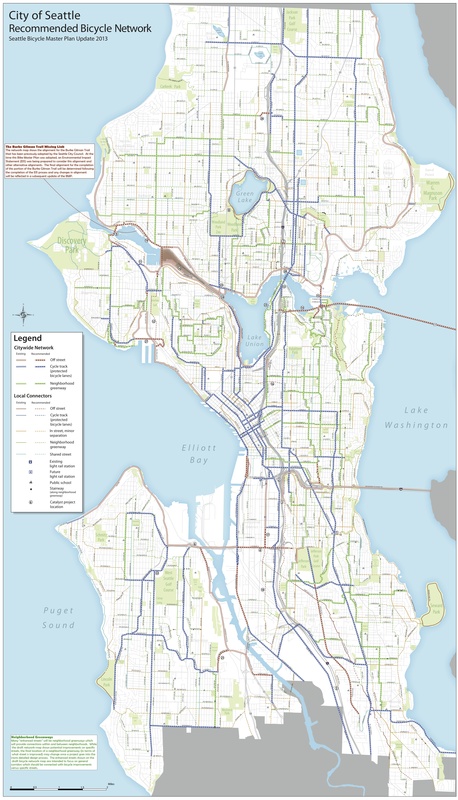 There's also a map showing where the proposed bike routes would go. As the City of Minneapolis and Hennepin County rework their bike plans, it's useful to draw lessons from Seattle's achievements.